The permanent exhibition begins with the establishment of the first known settlement in Estonia at the end of the Ice Age approximately 11000 years ago. The site of the Pulli settlement located just 5 km from the limits of present-day Pärnu. Pärnu Museum´s pride and joy is one of the oldest human statues in the Baltic Sea area dating back to 6200 BC. Some of the earliest hunting and fishing tools are exhibited. They were found among remains of the Pulli summer camp, built on the banks of a stream once lapsed into a giant Ancylus Lake. 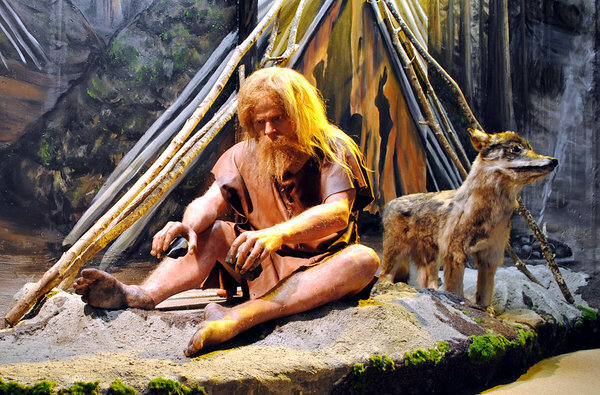 Visitors will learn about the drastic changes during the Estonian Stone age as well as people´s everyday life. The exhibition introduces the Late Neolithic breakthrough at 3000 BC involving material culture, settlement and economic strategies and quite a new phenomena of social life, including ideology and religion. About a couple of dozen stone axes and wedges from that period found in the area at the mouth of the Pärnu River and Sindi-Lodja are exhibited now in Pärnu Museum´s Stone Age section. The section culminates with several archeological finds providing information about the Bronze Age and Iron Age after the rapid development of exploration of metals.